For dates of upcoming Meetings of the Board of Directors, click here. To request a copy of our Form 990, click here. The Right Honorable Kim Campbell P.C. ; C.C. ; O.B.C. ; Q.C. 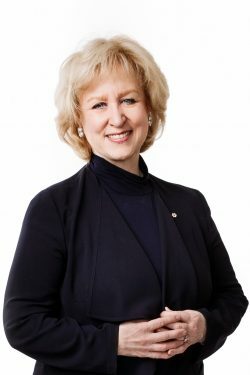 first female Prime Minister of Canada (1993). Also held cabinet portfolios: Minister of State for Indian Affairs, Minister of Justice and Attorney General, and Minister of National Defence and Veterans' Affairs. Thereafter, served as Canadian Consul General in Los Angeles. Then taught at the Harvard Kennedy School. She's a current member of and at different times has lead the Council of Women World Leaders, the International Women's Forum, and the Club of Madrid. She chaired the steering committee for the World Movement for Democracy, as well as designed and launched the Peter Lougheed Leadership College at the University of Alberta as its Founding Principal. She is a trustee of the International Ctr for the Study of Radicalisation at King’s College, London, and serves on the boards/advisory committees of several international organizations and corporations. Learn more at KimCampbell.com. 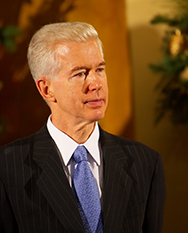 In 1998 Gray Davis was overwhelmingly elected California’s 37th governor, where he demonstrated bold environmental leadership by signing the first law in the nation to reduce global warming and greenhouse gases. He also created the first Greenhouse Gas Monitoring Registry and was the first to establish the nation's most ambitious commitment to renewable energy by creating a statewide Renewables Portfolio Standard. Governing during an economic expansion, Davis made record investments in infrastructure and created four Centers of Science and Innovation on UC campuses, which today are inventing technologies that will make our world cleaner, greener, and safer. In 2002 Governor Davis was re-elected to a second term. Today he's Of Counsel at Loeb & Loeb, where he provides strategic advice to clients on numerous matters. He is a Senior Fellow at the UCLA School of Public Affairs, regularly speaks before various academic and civic groups, and in 2009 was the Keynote speaker for Columbia Law School’s Graduation. 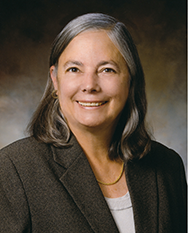 As a California State Senator, Fran Pavley focused on climate solutions throughout her career as a legislator. In 2002, she authored a bill limiting greenhouse gas emissions from new cars and light trucks, creating a model for national standards that were adopted eight years later. In 2006, she authored the Global Warming Solutions Act, a comprehensive framework for cutting emissions across many sectors. In December 2012, she introduced the Clean Air and Advanced Transportation Investment Act (Senate Bill 11), which would fund successful vehicle and fuel technology and air quality programs to keep California at the forefront of the transition to a clean economy. A native of Los Angeles, Senator Pavley spent 28 years as a public school teacher. In 1982, she became the first mayor of the City of Agoura Hills, and she served four terms on the city council. 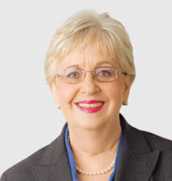 She was elected to the Assembly in 2000 and to the Senate in 2008. Diane Wittenberg was a founder of the Climate Action Reserve. She was the first president of The Climate Registry and California Climate Action Registry. She was the executive director of the California PEV Collaborative and previously served as Vice President of Edison International. She is the Chair of the California State Park and Recreation Commission. California Goes Green, A Path to Climate Leadership, a new book co-authored with Michael R. Peevey, was published Summer 2017. When it comes to taking personal responsibility for the environment, few individuals can match the record of actor and activist Ed Begley, Jr. Known for turning up at Hollywood events on his bicycle, he has served as chairman of the Environmental Media Association and the Santa Monica Mountains Conservancy. He serves on the boards of many organizations, including the Thoreau Institute and the Midnight Mission, His work has earned awards from numerous environmental groups including the California League of Conservation Voters, the Natural Resources Defense Council, the Coalition for Clean Air, Heal the Bay, the Santa Monica Baykeeper and the Cesar E. Chavez Foundation. Currently, he is the co-star of the hit Planet Green series Living with Ed, a look at the day-to-day realities of “living green” with his wife Rachelle Carson, who's not quite as enthusiastic about a rain barrel as he. The series has currently just finished airing its 3rd season. His first book, Living Like Ed, hit the streets nationally in February 2008, and the second book, Ed Begley's Guide to Sustainable Living came out in August of 2009. Begley lives in Studio City, CA in a small, energy efficient home with his wife and co-star Rachelle Carson and their daughter Hayden. 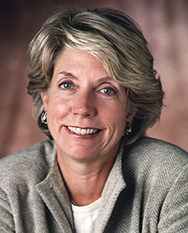 Linda S. Adams, former Secretary of the California Environmental Protection Agency, serves as the Chair of the Climate Action Reserve Board of Directors. Previously, Linda served in cabinet-level positions with three governors during her distinguished career with the State of California. Ms. Adams held key positions in both the Executive and Legislative branches during her many years in public service. As Legislative Secretary to Governor Gray Davis, Linda negotiated the passage of California’s clean cars law which is now the national standard. In 2006, Ms. Adams was appointed by Governor Arnold Schwarzenegger as Secretary of the California Environmental Agency (CalEPA), the first woman to serve in that position. Immediately upon her appointment, she was designated the governor’s lead negotiator on AB 32 (Pavley), California’s ground breaking climate change and clean energy measure. When Governor Jerry Brown was elected in 2010, Linda was asked to continue as Secretary of CalEPA and to assist in the transition. Ms. Adams most recently was honored to work with the Chugach Alaska Corporation to ensure that Alaska native corporations can participate in California’s carbon market through the development of forest management projects. Ms. Adams also serves on the boards of the Pacific Forest Trust, the California Council for Environmental and Economic Balance, and is the founding President of R 20-Regions of Climate Action. Ms. Adams also serves as a Sister on the Planet for Oxfam America. Peter has launched several companies that are active today in clean energy and resource efficiency. He is the managing director and co-founder of Clean Energy Advantage Partners which helps corporations make tax advantaged investments in renewable energy projects. He is the founder New Resource Bank, which opened in 2006 as the first green commercial bank in the US and was also a founding director for Ecologic Brands. 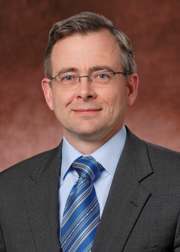 Peter was formerly at Credit Suisse and JP Morgan Chase focusing on energy and project finance. He also served on the clean technology advisory board for the California Public Employees Retirement Systems and the California Teachers Retirement Systems. In policy and philanthropy, Peter is the co-founder of the China US Energy Efficiency Alliance and serves as a director for the Christensen Fund, the Bay Area Open Space Council and the Climate Action Reserve. Peter has a technical background in energy and the environment, serving as engineer for the Chevron Corporation and the California Air Resource Board. He graduated from UC Berkeley Engineering and Princeton’s Woodrow Wilson School. Peter Miller is a Senior Scientist at the Natural Resources Defense Council (NRDC) with over 25 years experience in energy and climate policy. His work is focused on California energy policy, AB32 implementation, GHG emissions accounting and offsets. He is currently a boardmember of the Climate Action Reserve (CAR) and has served on the California Board for Energy Efficiency and on both Independent Review Panels evaluating the Public Interest Energy Research program at the California Energy Commission. Mr. Miller has degrees from Dartmouth College and Reed College. He is married to Anne Schonfield, has two children, and lives in Berkeley. 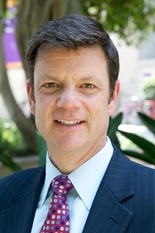 Jeffrey Kightlinger is General Manager and Chief Executive Officer for The Metropolitan Water District of Southern California. As General Manager, he is responsible for directing the activities of the District to fulfill Metropolitan’s mission of delivering high-quality water to 19 million residents in Southern California. The General Manager reports directly to the Board of Directors and provides leadership and management of the District’s public policies and strategic initiatives, assets and resources, and all administrative, operational and financial activities for Metropolitan. Prior to his appointment in 2006 as General Manager, he was General Counsel for the District directing the legal affairs of Metropolitan. Before joining Metropolitan in 1995, Mr. Kightlinger was in private legal practice representing a number of public agencies on environmental issues. 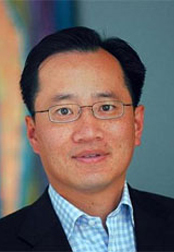 He is a Governor’s appointee to California’s Bay Delta Vision Blue Ribbon Task Force – Stakeholders Committee and a board member on the UCLA Continuing Education Sustainability Advisory Board, among other activities. Mr. Kightlinger earned a bachelor’s degree in history from the University of California, Berkeley and a law degree from Santa Clara University School of Law. 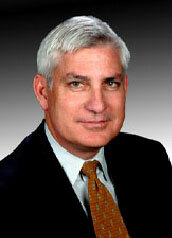 Jan Schori is of counsel to the law firm Downey Brand LLP in Sacramento, CA. She is the former general manager and chief executive officer of the Sacramento Municipal Utility District (SMUD), the nation’s sixth largest publicly owned electric utility. 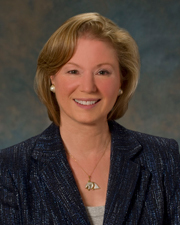 During her 14 year tenure as CEO, the utility earned a strong reputation for its renewable energy and energy efficiency programs as well as the national number one ranking in commercial customer satisfaction by JD Power & Associates. 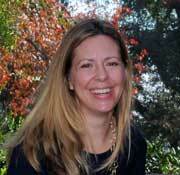 Prior to serving as CEO she spent 15 years on the legal staff at SMUD, the last 5 as general counsel. She is past chair of the American Public Power Association, the Large Public Power Council, and the California Municipal Utilities Association. She is also past chair of the Business Council for Sustainable Energy and served on the board of the Alliance to Save Energy. She was elected in 2009 to the North American Electric Reliability Corporation’s (NERC) board as an independent trustee. NERC is responsible for the reliability of the US and Canadian bulk power grid. She continues to serve on the board of the Climate Action Reserve which develops protocols and tracks greenhouse gas reduction projects, and the board of Cal CEF Innovations, whose goal is to design and pilot business models, financial products and public policies that accelerate adoption of clean energy technologies. 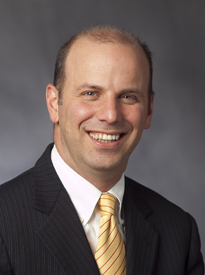 Steve Corneli is an independent advisor on clean energy innovation, policies and strategies. He has worked in the power sector since 1990, at the intersection of new technologies and business models with the key policy-making institutions of state and federal government. At various times during his 14 year career with NRG Energy, Steve led the company’s wholesale market design and advocacy, government and regulatory affairs, climate policy, and clean energy policy and strategy practices. Prior to NRG, Steve was a utility consumer advocate in the Minnesota Attorney General’s office and a regulatory specialist serving competitive power sector clients in the law firm of Leonard, Street and Deinard. Earlier in his career he managed a 600 acre family farm for more than a decade. Steve serves on the board of the Climate Action Reserve, the Executive Leadership Council of the Smart Electric Power Alliance, RMI’s eLab Advisory Council, and has also served on the board of the Solar Energy Industries Association and as a member of the Operating Committee of North American Electric Reliability Council (NERC). Steve has an MA in Public Affairs from the University of Minnesota’s Humphrey Institute, concentrating on energy, environment and technology policy, and a BA degree from St. John’s College. 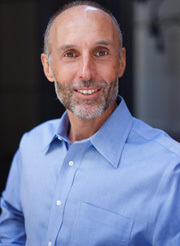 Gary Gero was appointed to be the first Chief Sustainability Officer for the County of Los Angeles where his duties include creating a countywide sustainability plan that addresses regional environmental, economic, and social justice issues. Gary previously served for the past 9 years as the President of the Climate Action Reserve, a nonprofit organization headquartered in Los Angeles and operating across North America. He now serves on its Board of Directors. Gary’s career includes nearly 20 years of work in local government, primarily in the City of Los Angeles where he served as Assistant General Manager for the Environmental Affairs Department and at LADWP where he oversaw energy efficiency and renewable programs. 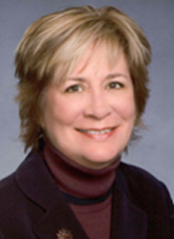 Betsy Moler recently retired from Exelon Corporation where she served as Executive Vice President, Government Affairs and Policy. She headed the company’s Washington, DC office for 10+ years. She joined Exelon (formerly Unicom) in January, 2000. During 1999 she was a partner in the law firm of Vinson & Elkins and a member of the Unicom Board of Directors. She is currently a member of the Board of Directors of Schlumberger Limited, the world’s leading oil field service company. Ms. Moler is a nationally recognized energy policy expert, with particular emphasis on electricity markets, transmission policy, and climate change. She was responsible for all aspects of Exelon’s federal government affairs initiatives. She led Exelon’s team on climate change policy issues. Ms. Moler had a long career in government service. She was a staff member on Capitol Hill for 20 years. She served as Senior Counsel for the United States Senate Committee on Energy and Natural Resources from 1976 to 1988 under Senators Henry M. (“Scoop”) Jackson and J. Bennett Johnston. She was appointed by three different Presidents (Ronald Reagan, George H.W. Bush and Bill Clinton) and confirmed by the U.S. Senate to serve as a Member of the Federal Energy Regulatory Commission (FERC) from 1988-1997. In 1993, President Clinton designated her as Chair of the Commission. Under her leadership FERC adopted a landmark initiative (Order Nos. 888 and 889) to require utilities to open their transmission lines on an equal access basis to their competitors, paving the way for robust wholesale competitive electricity markets. In June 1997 she was appointed by President Clinton and confirmed by the Senate to serve as the Deputy Secretary, U.S. Department of Energy (DOE). At DOE she served as the Chief Operating Officer. As COO she managed the day-to-day operation of a $16 billion budget with more than 10,000 federal employees and over 100,000 contract employees. She has a Bachelor of Arts degree in International Relations from American University in Washington, DC, and a Juris Doctor degree from George Washington University, also in Washington. She is married to Thomas B. Williams, and has two children, Blake and Eleanor Williams, who are both college students. Heather O'Neill is responsible for deepening and broadening AEE's relationships with funders, foundations, and building partnerships with allied organizations that advance industry growth. Before joining AEE, Heather was a program officer at the Robertson Foundation, leading the foundation's energy and environment efforts. Previously, she was Director, Public Affairs for Danco Laboratories, LLC, a start-up women's health pharmaceutical company. Tim Profeta came to Duke on June 1, 2005, as founding director of the Nicholas Institute for Environmental Policy Solutions. Prior to his arrival, he served as Counsel for the Environment to Senator Joseph Lieberman. As Lieberman's counsel, Mr. Profeta was a principal architect of the Lieberman-McCain Climate Stewardship Act of 2003. He also represented Lieberman in legislative negotiations pertaining to environmental and energy issues, as well as coordinating the senator's energy and environmental portfolio during his runs for national office. Mr. Profeta has served as a visiting lecturer at Duke Law School, where he taught a weekly seminar on the evolution of environmental law and the Endangered Species Act. Before joining Lieberman's staff, he was a law clerk for Judge Paul L. Friedman, U.S. District Court for the District of Columbia. Anthropologist Steve Schwartzman lived with the Panará tribe in Mato Grosso, Brazil for a year and a half in the early 1980s and learned their unwritten language. He subsequently defended his PhD thesis on the group at the University of Chicago. Dr. Schwartzman worked closely with the emerging Amazon rubber tappers’ movement in the western Amazon starting in 1985, and twice brought rubber tapper leader Chico Mendes to the United States. Since 1991, Dr. Schwartzman has worked with the Panará people, and NGO partner the Instituto Socioambiental, to help the Panará in their successful effort to recover 495,000 hectares of their traditional territory and ensure its legal recognition and protection. Since 2002, Dr. Schwartzman has worked with grassroots groups and NGOs for the creation of a reserve mosaic in the Terra do Meio region of the Amazon state of Pará. Between 2004 and 2008 the Brazilian government, in response to civil society advocacy, created ~8 million ha. of new parks and extractive reserves in the lawless frontier region. This established a continuous corridor of indigenous lands and conservation units of 26 million ha. in the Xingu river basin, the largest tropical forest reserves corridor in the world. Dr. Schwartzman leads EDF’s work with a consortium of Brazilian NGOs, grassroots organizations, government agencies and indigenous and traditional communities to implement and protect the reserves. Dr. Schwartzman also initiated EDF’s efforts to create large-scale incentives for tropical countries to reduce their deforestation through the United Nations Framework Convention on Climate Change and in the emerging US emissions control regime, with Brazilian and other international partners. 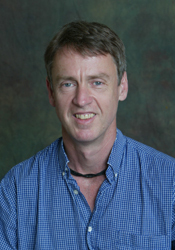 He leads EDF’s international work on Reducing Emissions from Deforestation in Developing Countries. In July 2014, Nancy Sutley was named Chief Sustainability and Economic Development Officer of the Los Angeles Department of Water and Power (LADWP) where she oversees energy efficiency, water conservation, economic development, and electrification of the transportation network. Prior to LADWP, Nancy Sutley served as Chair of the White House Council on Environmental Quality from January 2009 to February 2014. Under Sutley, the Council on Environmental Quality played a central role in shepherding the Obama Administration’s signature environmental accomplishments. Sutley was one of the chief architects of President Obama’s June 2013 Climate Action Plan to reduce carbon pollution, prepare the U.S for the impacts of climate change, and lead international efforts to address climate change. Prior to her appointment as Chair of the Council on Environmental Quality, Sutley was the Deputy Mayor for Energy and Environment for the City of Los Angeles, California under Mayor Antonio Villaraigosa. 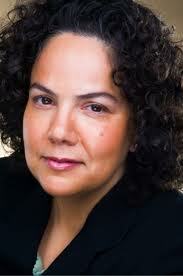 She represented Los Angeles on the Board of Directors for the Metropolitan Water District of Southern California. She served on the California State Water Resources Control Board from 2003- 2005. Sutley also was Energy Advisor for California Governor Gray Davis, and Deputy Secretary for policy and intergovernmental relations at the California EPA from 1999-2003. During the administration of President Clinton, Sutley worked for the U.S. Environmental Protection Agency as a Senior Policy Advisor to the Regional Administrator in San Francisco and Special Assistant to the Administrator in Washington, D.C.
Sutley received her bachelor's degree from Cornell University and her Master in Public Policy from Harvard University. Sutley resides in Los Angeles, CA.